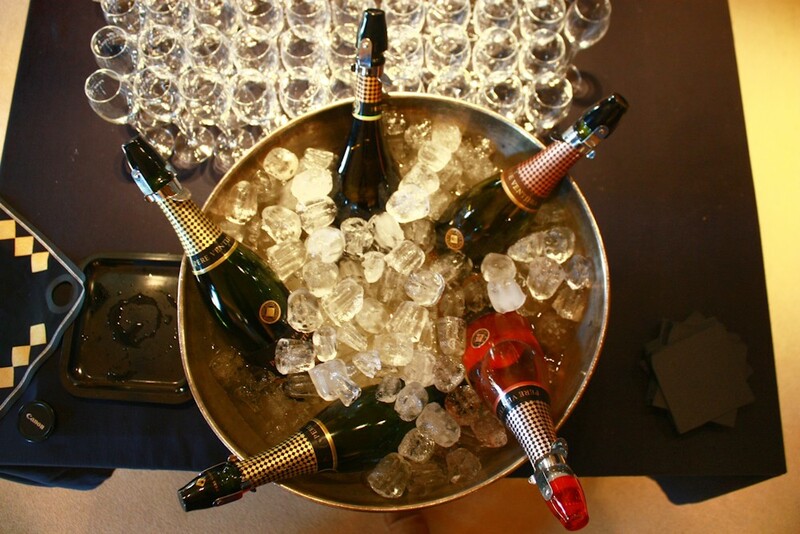 Penedes is one of the most significant winemaking regions of Spain and the birthplace of celestial drink called Cava. Grapes were cultivated here in the 4th century BC or even earlier so the traditions have been carefully preserved and passed down in many generations. But specifically here the winemakers created a sparkling wine to the French technology and today Cava remains the main rival of Champagne. Numerous vineyards scattered around the highlands of Penedes all have a special feeling of creativeness and serenity. As you pass them by, you can see how carefully the grapes are pruned for the winter, how neat are the yards and how everything is arranged with great care and attention. 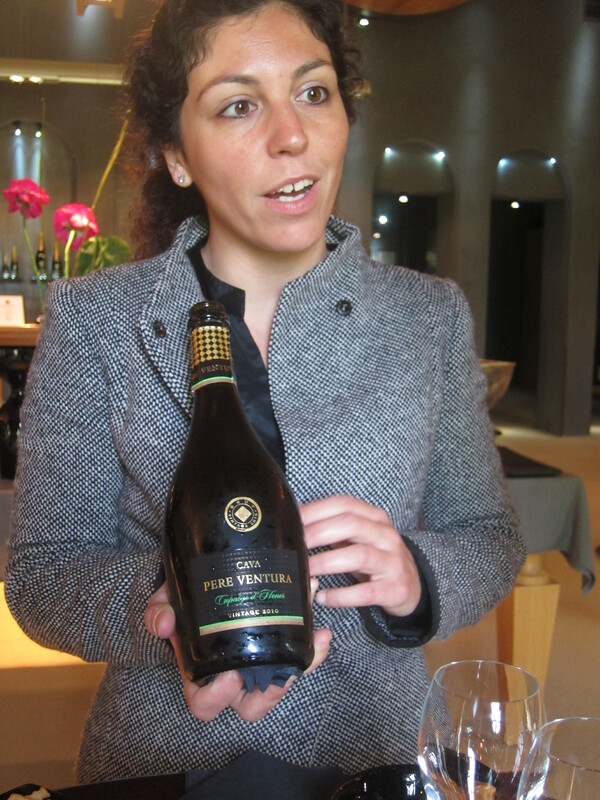 We shall talk about our visit to one of the 50 Great Cava producers of Spain, the Pere Ventura winery, located at the main entrance (or exit depending on which you go) of Sant Sadurní d’Anoia. The title of the article “Palace of Cava” was conjured up the instant we entered through the winery gates. The “Palace” has 60 hectares of vineyards close by from which the traditional varieties are grown in the best soil and carefully handpicked. Guests are welcome not by Pere Ventura himself, but by his spouse Mireia. The Pere Ventura Company was founded only 23 years ago, but today is one of the most successful wine and cava producers in Spain, selling 1.2 million bottles of wine a year. Mireia manages to give a hearty welcome to every single person visiting her ‘palace’ (now, in January it is mainly locals, the pure Catalan speech is audible), to advise and sell cava and control her employees at the same time. We were met by our guide – a polite young man in a uniform suit and with a small flashlight. Having kindly warned that on the way there will be a set of descents and turns, he invited us to enter. 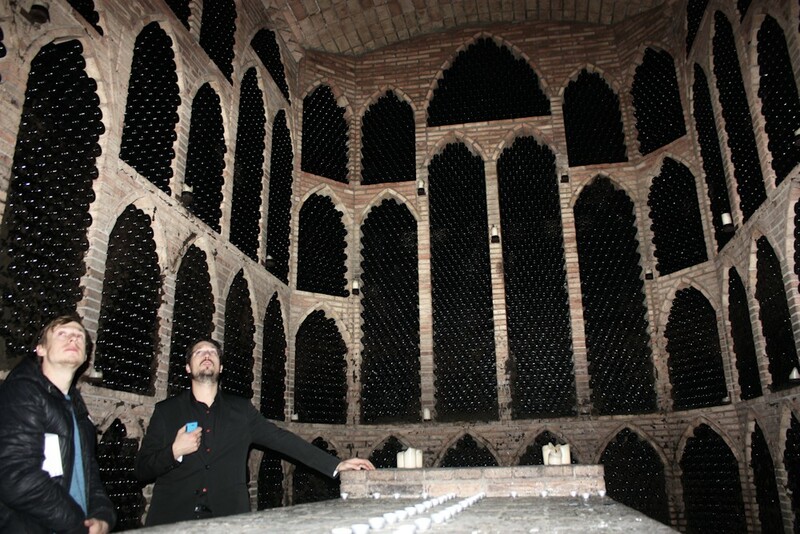 The wine cellars of Pere Ventura have three levels of depth and two kilometers of length. Bottles of a cava, draped with webs and moss, are laid out along walls in the traditional way – absolutely horizontal in rimas (the Catalan name of rows of bottles). They are all corked with metal to prevent the smell of natural cork to infuse the aroma of the drink. They explained that cava is much more sensitive to foreign smells than wine. The temperature, lighting and humidity level are also specific for cava aging here. Cellars are built in a traditional Catalan style with vaulted arches. All galleries and corridors are connected among themselves, easy to move around. Moving from the hall to the hall, we saw all process of aging of the inspiring drink. 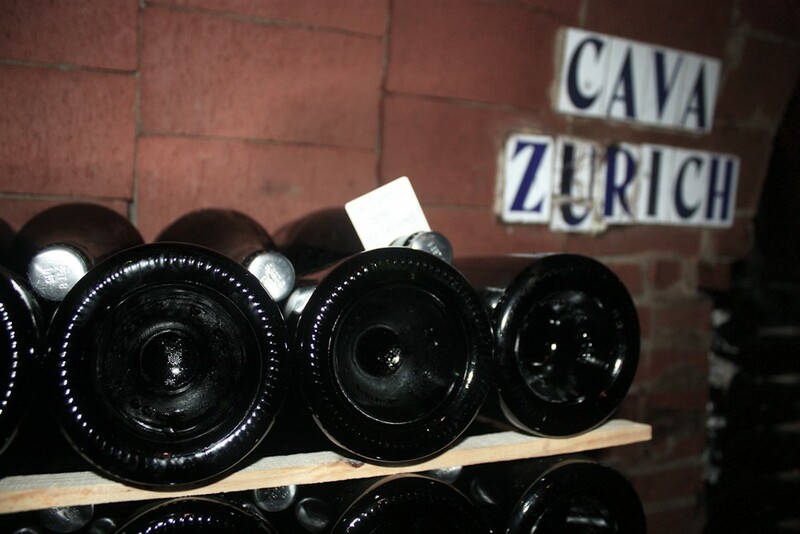 Pere Ventura produces cava from three local varieties of grapes – Xarel-lo, Parellada and Macabeo. They grow here at three different levels of heights. Wines are aged both in bottles and in the wooden barrels on display for visitors, occupying the special hall. 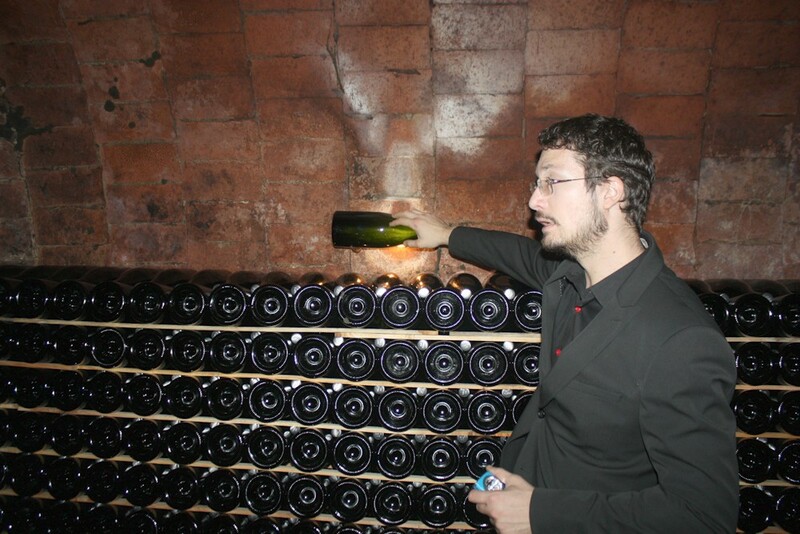 At the end of our tour, we were shown the power-operated room where bottles are corked and labelled by machines, while final quality control is manual. 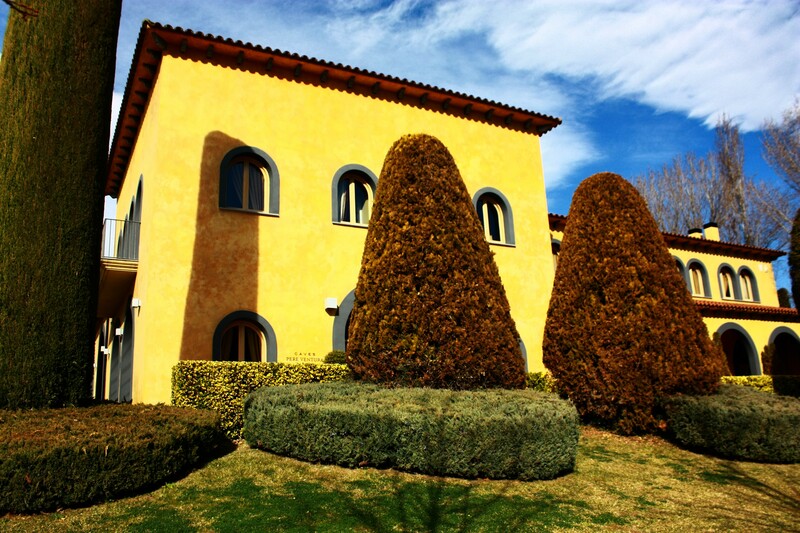 We have also learned that Pere Ventura comes from a noble family of wine makers. His ancestors stood at the origins of creation of a cava at the end of the 19th century. Being the wine maker in the fourth generation, Pere Ventura isn’t afraid to experiment and is responsible for quality of a product with his name on. Brut Reserva Cupatge D´Honor Vintage 2011 (93 points 50 Great Cavas 2014)– Brioche, baked apples, vanilla & subtle citric notes. Fresh entrance & palate. Medium finish. Tresor Rosé (95 points 50 Great Cavas 2014)– Wild strawberries on the nose. Explosion of fruit on the palate. Crisp short finish. Pleasant mouthfeel. Resplendent! 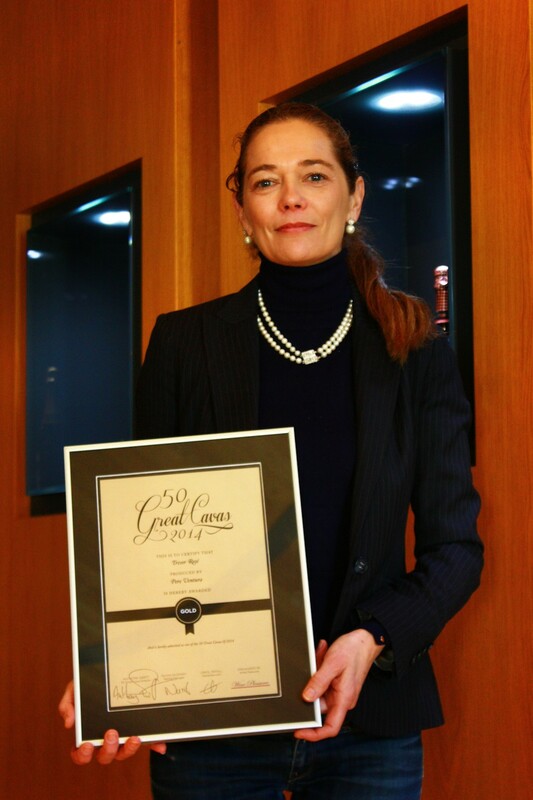 Tresor Brut Reserva (93 points 50 Great Cavas 2014) – Green apples with subtle notes of almonds & pastry. Creamy entrance with balanced acidity. Fresh medium finish. Guided tours available at 10h, 12h and 16h on working days by appointment.